the muffin exploded and does 100 damage to the active Pokemon but also does 10 damage to itself and each benched Pokemon, opponents and yours. 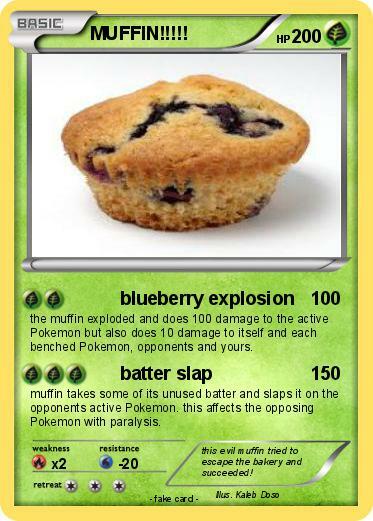 muffin takes some of its unused batter and slaps it on the opponents active Pokemon. this affects the opposing Pokemon with paralysis. Comments : this evil muffin tried to escape the bakery and succeeded!